iKube provides insurance cover for learner and young drivers aged 17-25 years old at a reduced premium. Why? The use of telematics-based products is now widely accepted and in itself sufficient to attract favourable rates from insurers. Here at iKube, we believe that price is simply a reflection of the choices you make. We’re here to help you make the right choices that will in turn help you to drive safe, arrive safe and save money. If you can commit to avoid driving between the hours of 11pm-5am, a period of intense risk to young drivers, iKube can further reduce your insurance premiums from the outset. You can still drive directly to and from a place of work and we’re sensible about genuine reasons for transgressing into this restricted period, especially for your own safety, if you happen to breakdown or get caught in traffic. If, however, you drive during this time zone without genuine reason you will incur additional charges to your premium. We’ll explain it at the outset and confirm in your policy documentation. Once you’ve been driving a while (typically three months after passing your test or policy start whichever is the latter) we can review the restrictions in place and for those demonstrating they drive responsibly remove them. If not being able to drive between 11pm and 5am limits your freedom and cramps your style, iKube can still offer you telematics based insurance where the additional risks posed by driving during between 11pm and 5am will be reflected in your initial premium. You can, however, still prove to us that you can drive responsibly and get your premiums down. RAC Advance telematics alerts you to issues that may affect your ability to arrive safely at your destination. If this results in breakdown or accident, you will be comforted in the knowledge that RAC Assistance or Recovery teams immediately know where you are and will already be gathering data to help establish what the problem is. You can choose either fully comprehensive or third party fire and theft insurance to suit your needs, but remember that third party cover can sometimes be the more expensive option. With iKube you can earn your own no claims bonus (NCB) as a learner and newly qualified driver. That’s something that, as a named driver on somebody else’s policy, you can’t do. We will agree your mileage needs with you before you take out your policy. If you are projected to exceed this we will ask you to pay an additional premium to reflect this. We are also aware that, particularly as a provisional driver, you may find it difficult to estimate the required mileage. Rest assured we will keep an eye on your miles and discuss any potentially required changes with you. Unlike some other insurers, iKube don’t change your premium when you pass your test, unless your other circumstances change, such as your address or vehicle. Whether included within your initial quote or subsequently incurred, we’d rather you knew exactly what your insurance includes and what it does not. We’ll explain it at the outset and confirm in your policy documentation. 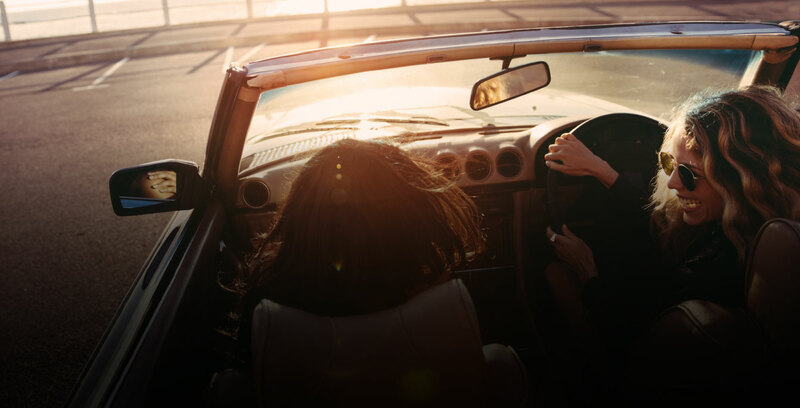 We believe young drivers insurance should be as simple and affordable as possible so you can pay your premium with one fixed annual fee or by monthly instalments (subject to status). Refer any number of your friends or family to the iKube brand and you could hit the tills or enjoy some thrills courtesy of Red Letter Days. iKube: it’s not just about how you drive, it’s about how you arrive. At iKube we want you and your passengers to be safe without cramping your style, and to earn cheaper car insurance like that already enjoyed by many experienced drivers. Choose iKube, prove you can drive responsibly by making the right choices about how, where and when you drive, and you could quickly get the cost of your insurance down. That’ll keep your folks happy, particularly if they’re paying for your lessons, or buying you your own car before you disappear off to university or into the workplace. iKube encourages, reinforces, and rewards the adoption of correct driving behaviours. iKube encourages and rewards learners and those who’ve just passed their test for not driving during the hours of 11pm and 5am. iKube includes your very own RAC app and portal so that iKube, you, your parents (with your agreement) and insurers can see the progress you’re making. Your early driving experiences can be both liberating and fun but they can also be some of the most unnerving. As you join the masses on the UK’s congested roads you’ll quickly learn that nobody’s perfect; not everyone shares the same values or follows the rules; not everyone’s got insurance; not everyone drives as well as you or as you might expect; not everyone cares; accidents happen; and cars, even new ones, tend to break down! Think of your black box as your guardian angel. It’s there to help protect you and encourage you to make the right choices about your driving behaviour. RAC telematics provides you with the reassurance of knowing that assistance is never far away. If you drive safe and arrive safe there’s more chance you’ll quickly reduce your insurance policy premiums to the levels enjoyed by many others, safe in the knowledge you won’t be paying for others who choose to take a less responsible path. You should be saving on car maintenance and repair costs too!